Chip extractors most economical & effective solution to your dust problems. Chip or dust collected is transferred by a heavy duty steel fabricated fan. These extractors are available in stand alone option or on trolley mounting depending on requirement. The ingeniously contrived positioning of the dust collecting hood catches the dust catapulted upwards in its complete scattering area. Whenever, Dust different locations, a portable dust & chip collector is the most economical answer. 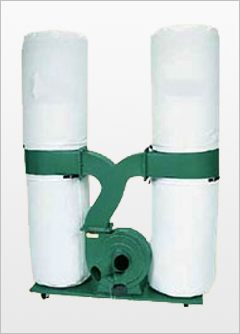 All portable units with cyclonic separators have exchangeable filter systems for use with a simple filter bag. 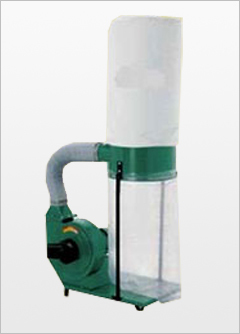 Filtrations Options other than filter bags such as Cellulose Pleated filters & Hepa filters are available on request. a) For Extraction and disposal of dust produced by machinery, directly at source. b) For Extraction and disposal of car exhaust fumes in automotive workshops. c) Extraction of stale air and supply of fresh air for working operations (e.g. welding) in pits, tanks or other insufficiently ventilated confined area. d) Extraction of dust in small sand blasting cabins. e) Use as conveyor blower for granulated materials, etc., ON WOOD WORKING MACHINERY.